In which we travel to the end of each and every tube line, feeding you a trivia nugget at every terminal station. End of the line at Cockfosters. Photo: Compound Eye. 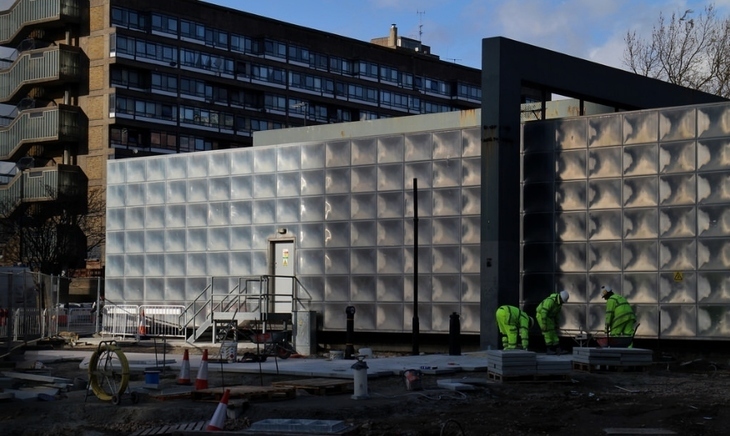 One strange legend goes that the shiny box in the middle of (the former) Elephant and Castle roundabout was inhabited by left-field musician Aphex Twin. It wasn't of course; the box is actually a memorial to the scientist Michael Faraday. Punk designer Vivienne Westwood studied fashion at Harrow Art School. Her parents ran a sub post office on nearby Station Road. Search all you like guys, Aphex Twin never lived there. Photo: Nick Walker. Ealing is home to the largest Sikh community in London. The Sri Guru Singh Sabha Gurdwaras in Southall is the largest Sikh temple outside India. Ever since Queen Victoria declared Epping Forest 'the people's forest', locals were allowed to gather firewood and graze cattle there. The majority of the forest, however, resides outside the Greater London boundary. Hammersmith Bridge has been targeted by bombers a number of times. There have been attempts to damage/destroy it in 1939 (here's a video) and 2000, while in 1996 an IRA bomb went off in a residential area nearby. Edgware Road is the subject of a poetic ramble from former poet laureate John Betjeman. In the programme he climbs out of a hatch in the top of Marble Arch, which at the time still had a police station inside it. Actor and well known loud mouth Brian Blessed claims to have helped deliver a baby girl in Richmond Park in 1983. He regaled Radio 4 host Libby Purves with the story, giving gory details on how he bit the umbilical cord. In 1798, Tory prime minister William Pitt fought a duel against George Tierney Whig, MP for Southwark, on Wimbledon Common, after accusing him of being unpatriotic. A number of shots were fired, but neither party was injured. 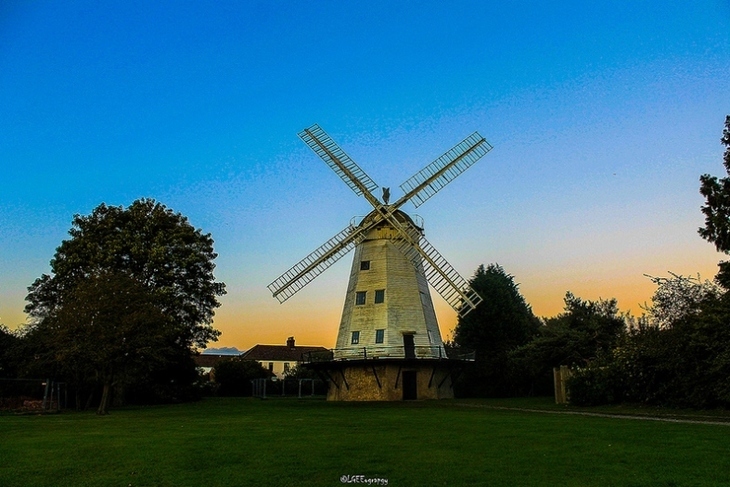 Upminster Windmill, built in 1803 by local farmer James Noakes, is considered one of the finest examples of a 'smock' windmill remaining in England. Edgware Road leads all the way to Anglesey... sort of. Lovely smock: Upminster Windmill. Photo: LFaurePhotos. Barking was made it on the maps in the year 666, with the building of Barking Abbey. Despite being obliterated by Vikings, the abbey withstood another millennium before being dissolved by Henry VIII in 1541. The ruins of the abbey still stand in an area of parkland known as Abbey Green. 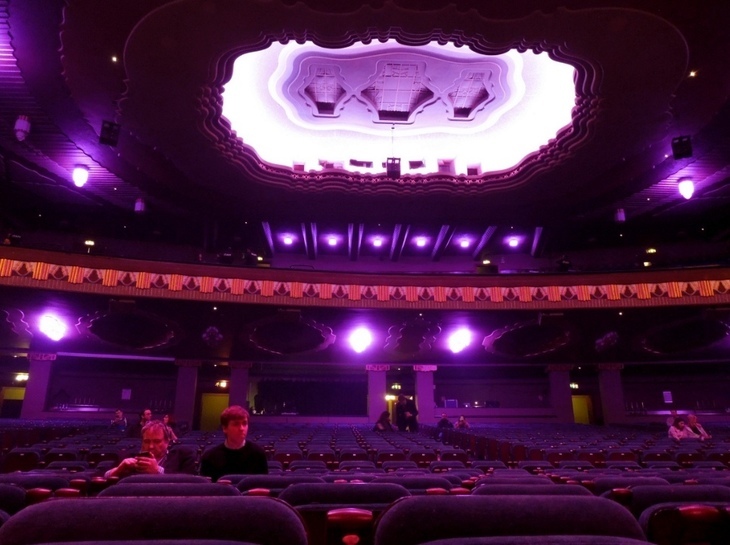 Hammersmith Apollo was the venue for 22 Kate Bush performances in 2014. Bush hadn't performed live since 1979 on her Tour of Life. Some of the dates back then were at Hammersmith Odeon. Hammersmith Apollo, where Kate Bush reappeared in 2014. Photo: roger.w800. Bentley Priory, from where the Battle of Britain was controlled, is in Stanmore. It's now a museum. 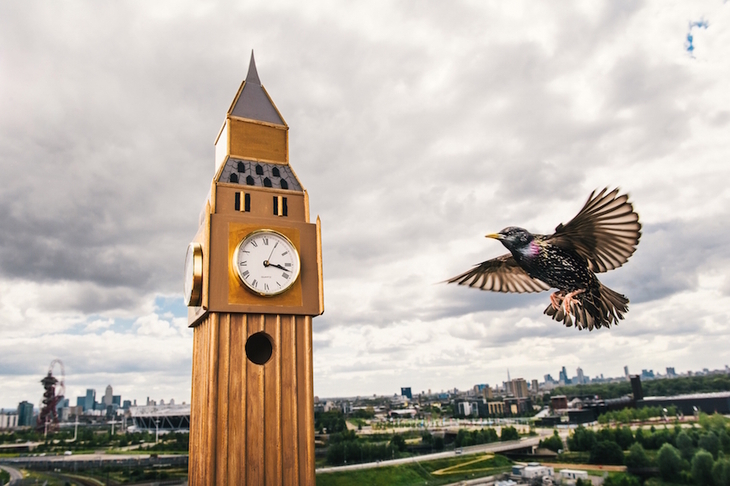 Queen Elizabeth Park in Stratford has 525 bird boxes and 150 bat boxes. Fact. A familiar looking bird box in the former Olympic village in 2015. At the height of the Battle of Britain in 1940, Winston Churchill visited the bunker at RAF Uxbridge, where he proclaimed, "Never was so much owed by so many to so few." He later used it in a speech at the House of Commons. Stephen Fry spent part of his childhood in Chesham, attending Chesham Prep School, as detailed in his autobiography Moab Is My Washpot. 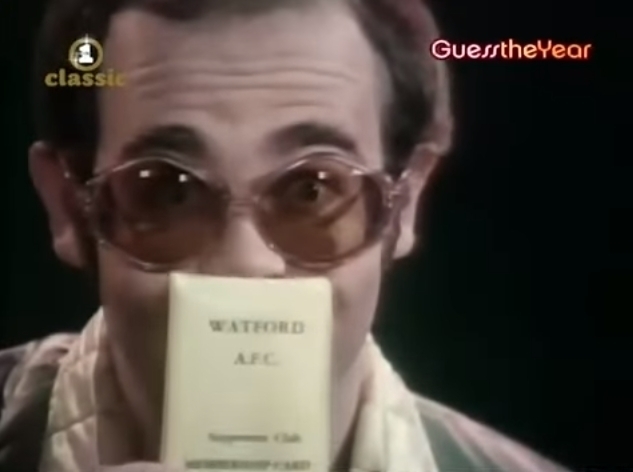 In the video for Elton John's Step into Christmas, the bespectacled star holds up his Watford AFC supporter's club membership card. An office in Aldgate is home to one of the more unusual meeting rooms we've seen. The companies that reside in the Relay building above Aldgate East station use an old tube carriage as a break room. Amersham is home to the 'Aeroplane House', a Grade II* modernist building with two canopies that look like a bi-plane. Bet he didn't have to pay for his membership. One of the earliest films ever made was created in Barnet in 1895. Admittedly not much of a blockbuster, it showed a hay cart crossing Barnet's Hadley Green. 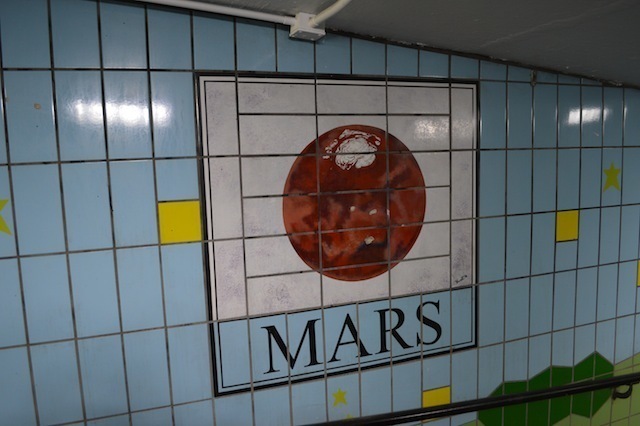 A pedestrian subway in Mill Hill is home to a tiled depiction of the solar system. If you walk through the pedestrian walkway under the Barnet bypass, you'll see images of the sun, the eight planets and dwarf planet Pluto. These went up in 1998 and are just around the corner from University of London Observatory. Baitul Futuh Mosque in Morden is the largest purpose-built mosque in Europe, accommodating 1,600 worshippers in each of its two prayer halls. If it wasn't for the second world war, the Edgware branch of the Northern line wouldn't exist; it'd be the Bushey Heath branch. Extensions planned in 1935 were cancelled at the outbreak of war. Mars in Mill Hill East. 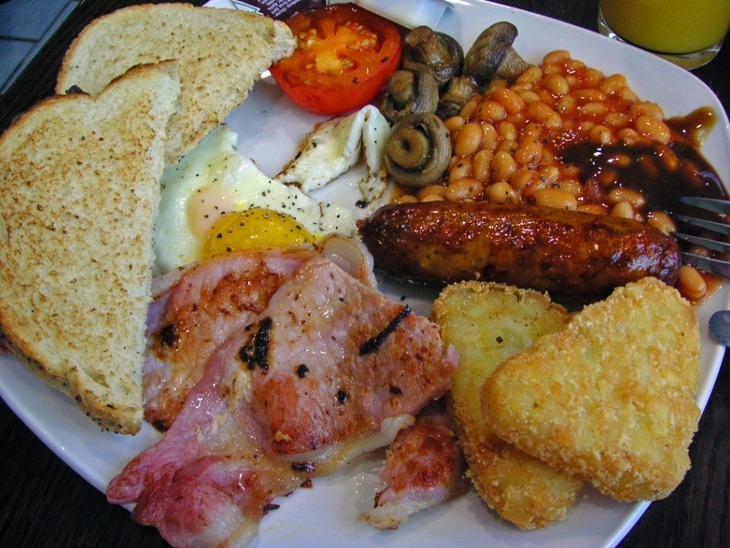 Breakfast is the most popular meal of the day at Heathrow with almost 5m eggs, 6.4m croissants and 4.5m rashers of bacon served every year. The number of pastries sold annually would line a runway in both directions 350 times. While Cockfosters has a name we've all snickered at once or twice, it has regal connection, as the home of Trent Park — one of Henry IV's old hunting grounds. A breakfast at Heathrow. Photo: darren elliott. 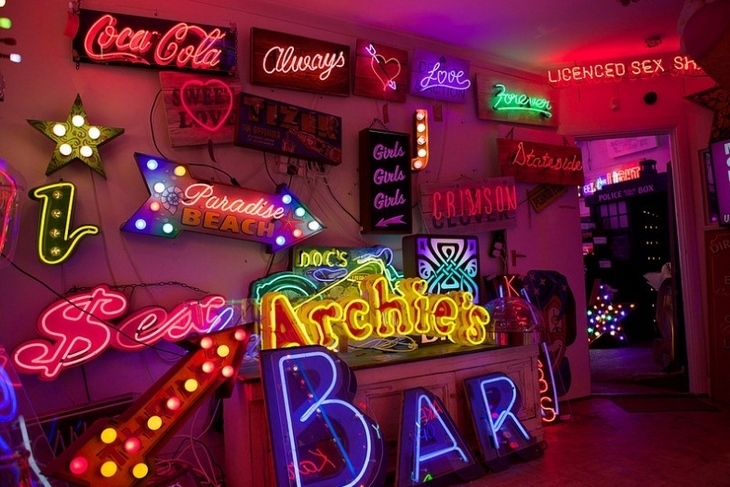 Walthamstow is home to God's Own Junkyard, a collection of neon art designed by artist and lighting designer Chris Bracey. This is the biggest collection of neon artwork outside the USA. Bracey died in 2014 after a year long battle with prostate cancer. The Ritzy Cinema, Brixton, opened on 11 March 1911, was one of England’s first purpose built cinemas (back then it was The Electric Pavilion). During the 1980s the cinema developed a reputation as having a left-wing agenda, so much so that the manager placed an ad in the local press advising potential patrons that not every film that the cinema screened was 'left-wing'. Purdy: God's Own Junkyard. Photo: sosij. 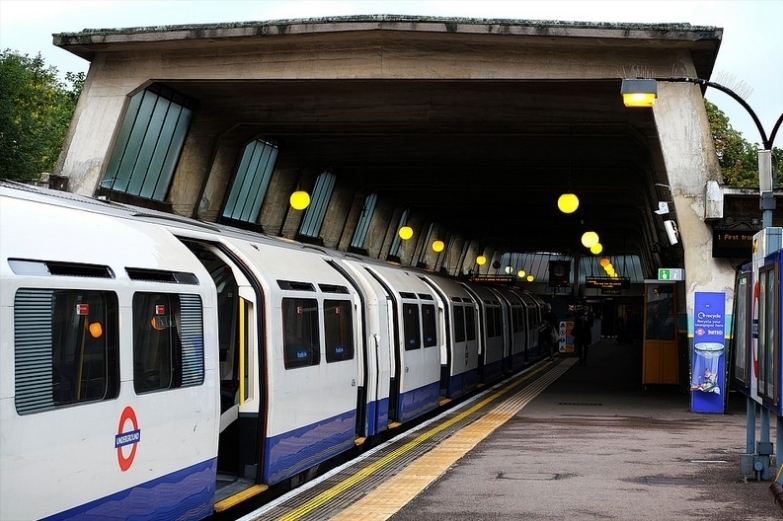 In 2010, TfL estimated that 298,335 people use Bank station on a daily basis — three times as many people as you can fit into Wembley Stadium. Formerly known as Lower Marsh, the Waterloo area of London, was in fact, marshland. It was drained in the 18th century and the area was renamed after the opening of Waterloo Rail Station in 1848. Waterloo's former life is remembered on the street called Lower Marsh.